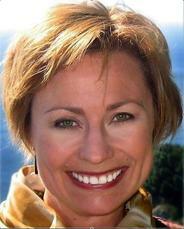 Hire Becky Henry to speak at your Health Care Association or Organization Event Now. Book is available for college health care curricula. "Becky recently spoke at the Eating Disorder Awareness event in Des Moines, Iowa and she was fantastic. Her knowledge and empathy make her such a valued resource for parents and caregivers. I would highly recommend her as a speaker and coach. Sue Clarahan RD, LD, CEDRD "
Including Families in Eating Disorders Treatment & WHY It's Important to YOU. What to SAY/NOT SAY to Patients Who May Have an Eating Disorder. Special Concerns for College Students With Eating Disorders. How To Talk With Parents When You Suspect An Eating Disorder In Their Child. Parents who are coaching clients have said: "I could never have done this without you Becky! Thank you! ", "You saved me! ", "You get it and you've helped me navigate the minefield I walk through everyday." 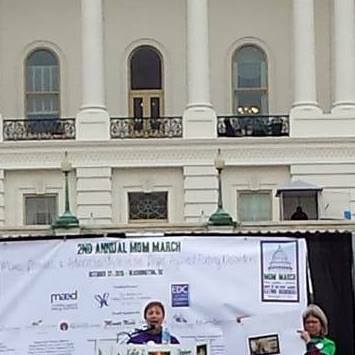 10-2017 ANAD Speaker - "Self Care for Parents & Caregivers; Making SHIFT HAPPEN"
11-27-15 "March Against ED" Sharing the Parent Experience of Long-term Eating Disorders and Advocacy. 9/15/12 - The Loft Literary Center, Minneapolis, MN. Panel on Self-publishing and book marketing. 2/23/12 - NEDAW event at The Emily Program Foundation "Art and Eating Disorders" Open Mic night. 8/22/11 - Common Good Books & The Emily Program Foundation host, "Joy and Hope" - A discussion with Kathleen MacDonald of the Eating Disorders Coalition (EDC) Washington, DC & Becky Henry of Hope Network" Moderated by Kitty Westin. 2011 - Independent Publisher Book Award (IPPY) - Just Tell Her to Stop won in the National Category for Mental Health/Psychology May 23, 2011 Awards Ceremony in NYC.